Free downloadable DPP-ZLEplus Trial version. 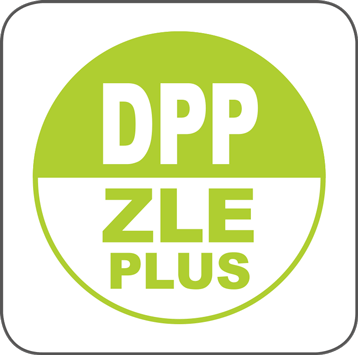 The Zero Length Encoding (DPP-ZLEplus) firmware has been developed for the 751 digitizer family. It allows the user to transfer the digitized waveforms in compressed mode, performing an enhanced Zero Suppression algorithm on the input signals. 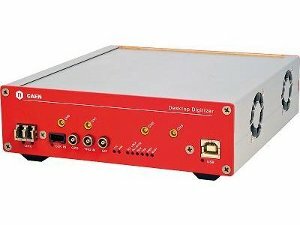 DPP-ZLE continuously calculates the baseline of the input signals and, whenever an external trigger occurs, it searches for the significant input pulses within an user-defined Acquisition window. An input pulse is considered significant if it either exceeds an Upper Threshold or falls below a Lower Threshold referred either to the calculated baseline or absolute values. 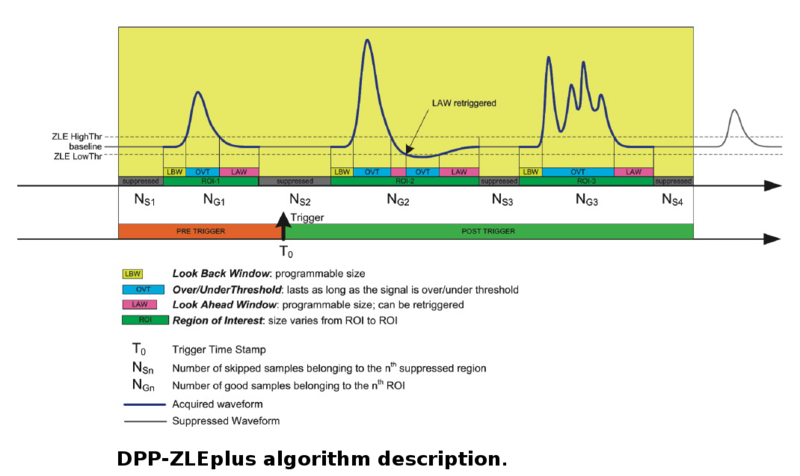 It is possible to store not only the over threshold part of the significant pulses, but also the samples before and after the threshold crossing points by means of programmable Look Back and Look Ahead windows. 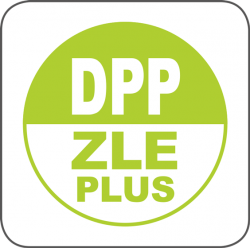 DPP-ZLEplus Control Software is a demo application introducing the user to understand the principle of operation of the Digital Pulse Processing for the Zero Length Encoding (DPP-ZLEplus). 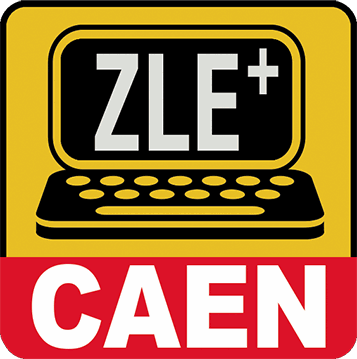 It can manage single-board communication and acquisition of CAEN 751 Digitizer family (10 bit @ 1 GS/s) running DPP-ZLEplus firmware.  The user can make an entire acquisition through this software, as well use the source code to develop his/her customized readout program. Indeed the package includes the C source files and the Visual Studio project (compliant with Visual Studio Professional 2010). Note: DPP-ZLEplus doesn’t support DES mode (2 GS/s sampling frequency).